Welcome to our Bible Promises main page! In this section of Bible Topics Online we will explore some of the great promises that the Bible has given us. Not all promises are good news however. Some of them have unfortunate consequences for those they target. For example, from the very beginning, God promised the serpent “I will bruise your head”. What does this mean? Why would God be so interested in crushing a snake’s head? This is one of the promises we intend to explore in some depth. But then there’s the good news! Many of the promises found in the Bible are there to give people hope and an optimistic outlook for the future. The coming of Jesus Christ and all that he would accomplish is the most significant of all bible promises. 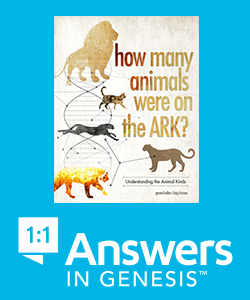 In fact, it is the central theme of the Scriptures from Genesis to Revelation. But this great promise of Messiah contains many smaller sub-promises. There is the promise of his birth, of his death and resurrection, of his ascension into the heavens and ultimate return to the earth for the purpose of saving a restored nation of Israel from annihilation; the promise of Israel’s acknowledgement and acceptance of him; of Jesus becoming their king and establishing a kingdom on earth with Jerusalem as its capital – the restored throne of David according to an ancient promise given to him. When we break it all down, all the promises given in the Bible are all about God. After all, what good is a promise if the person giving it either doesn’t intend to keep it, or doesn’t have the power to do so. But God is faithful to His word and he also has the resources to accomplish whatever He says He will do. So this is all about God’s own character – the kind of person that He is. He is not like us. We are so self-focused as we struggle to survive under very adverse conditions in a natural world. But God is not like that. His own existence is commensurate with eternity and consequently, His character is a reflection of that. In earthbound creatures, absolute power tends to corrupt. But God’s own nature is not corruptible. In one place the Bible even tells us that God “cannot lie” (Titus 1:2). So when He gives promises, we can be sure that they will be fulfilled, even if present circumstances appear otherwise. So let’s explore together, the many wonderful Bible promises. Tell us all about a living God who wants a relationship with a certain kind of person. All throughout the Scriptures, this certain kind of person appears again and again. He or she is by no means perfect, more often than not their lives are very colourful, but all of them have one familiar “family” characteristic – they believe the promises to such an extent that the direction of their lives is governed by them.